Blip Systems is a sensor-agnostic company, meaning that they use multiple data sources, including WiFi and Bluetooth sensors, 3D cameras, people counters and other third-party data sources, to monitor movement, capacity and wait time. With data, from multiple sources, airports, municipalities and other high-traffic facilities can to quickly and efficiently manage queue and flow, to help reduce overhead, maximise revenue and provide optimum service. The technology is successfully employed in optimization efforts in more than 25 international airports, including Schiphol Airport in Amsterdam, JFK Airport in New York, Manchester, Birmingham, Dublin, Brussels, Geneva, San Diego and Edinburgh. The tech startup story from Denmark shows how BLIP Systems is using Bluetooth, Wi-Fi, sensors combined with other data sources already installed such as ANPR cameras to provide a myriad of invaluable insights. Forecasting occupancy and shopping time per flight as a function of check-in/security/gate announcement time/gate allocation. In recent years, the solution has also been rolled out in train stations, ports, ski resorts, amusement parks and at events all over the world. 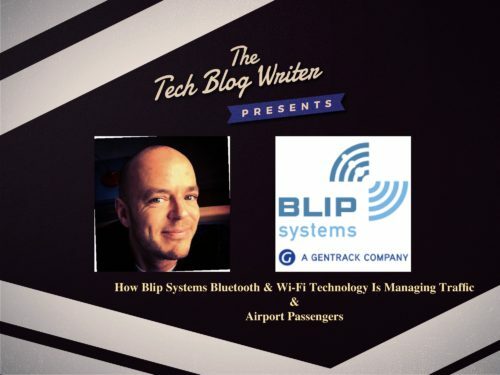 I talk to Christian Bugislaus Carstens, Marketing Manager at BLIP Systems about Bluetooth/WiFi sensors and the difference they are making all over the world. Christian is responsible for expanding the knowledge of BLIP Systems and the #BlipTrack queue and flow management-, and capacity forecasting solution. But, I wanted to find out more about how this technology is being used all over the world and how it is making a big difference to the customer experience.